The spleen is a parenchymatous organ in a form resembling a flattened hemisphere (in newborns form of the spleen — round), located normally in the left upper quadrant at the level of IX-XI ribs. It is located intraperitoneally, i.e., is covered by peritoneum on all sides except the gate, which flow into the eponymous Vienna, artery and nerves. Outside the spleen is covered with connective tissue capsule, the surface of which is adherent to the peritoneum. The hepatic parenchyma is formed of red and white pulp. The red pulp is responsible for favoritemovie foreign cells, destruction of old and defective red blood cells and conversion of monocytes into macrophages. She deposits the formed elements of blood. The white pulp consists of many lymph nodules, it occurs the formation and accumulation of T — and b-lymphocytes. Causes of similar symptoms may be different: infection, splenitis, tumors, trauma, cysts, amyloidosis and much more. 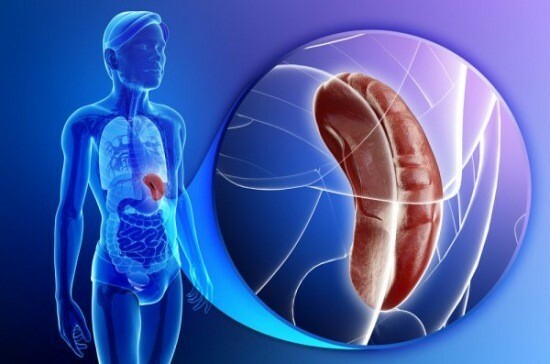 In adults the cause of increasing body may be hypertension, diseases of the blood vessels and so on. With a significant increase in spleen relative to the norm it can be palpated to determine its edge, consistency, surface, to determine the sensitivity and mobility. Ultrasound of the spleen can be assigned for diagnostic purposes, for example, anemia of unknown origin. Adults and adolescents need a few days (2-3) before the ultrasound procedure to give up foods that increase gas. These products include: any dairy products, vegetables (different varieties of cabbage, members of the family of legumes), fruits (grapes, plums), sweet, flour and carbonated drinks. The diet should be combined with ingestion of sorbents and antigas medications (activated charcoal or simethicone espumisan). If there are episodes of indigestion, you can take it after a meal drugs enzymes (Kreon, Mezim). Before the study need 8-12 hours of night and morning fasting. Before performing the ultrasound should undergo an examination, which includes General analysis and biochemical blood tests. This is carried out to clarify the etiology of the pathological process. If necessary, the doctor may prescribe additional methods of laboratory research. For children being breastfed, and mixed feeding, it is recommended to conduct an ultrasound of the spleen after 3-4 hours since the last use of breast milk or formula. If a child eats a vegetable or fruit lures, it is necessary to abandon them for 12-24 hours in order to avoid intensive gassing. If he cares, then it can Popo boiled water, but not sweet drinks. Before conducting an ultrasound of the spleen in children doctor based on the child’s age, calculate the normal size of the spleen and the survey will adhere to the result. In addition to the longitudinal axis and the diameter on ultrasound to determine the third indicator is a thickness (normal in adults it is 5 cm in children and 2-3 cm). Also, we have studied the shape of the body, its structure and echogenicity. In the presence of cysts, tumors, and areas of sclerosing echogenicity is heterogeneous. The surveys should cover the adjacent blood vessels, the presence of stenosis, sclerosing, etc. For the convenience of the ultrasound the patient is placed on his back, and then ask you to move sideways, tilting the arm behind your head, and inhale deeply. Please note! Ultrasonography in young children can be difficult because they may be scared or annoyed. Therefore it is better to carry out the procedure with one of the parents to the child to feel comfortable and do not interfere with the doctor. The procedure lasts about 7-10 minutes. Patients in the study do not usually experience discomfort, only slight pressure from the sensor. Pain and discomfort may be present when the lesions of the body or skin. 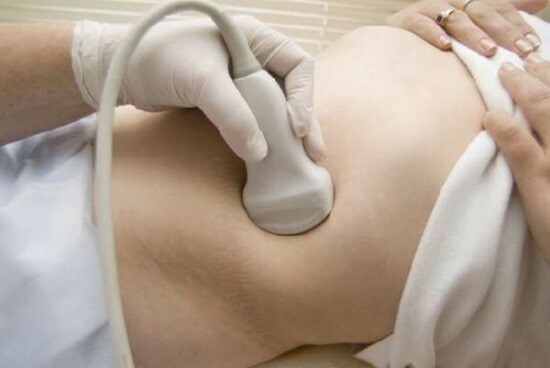 Ultrasound of the spleen is a productive and inexpensive method of diagnosis, so often used in the diagnosis and differentiation of diseases as in adult practice and children. MRI of the spleen: what the survey shows? Circle of Willis closed: norm or pathology?